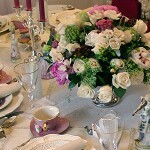 May Tablescape with a Touch of Victorian Elegance! 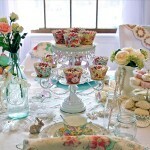 Vintage Pearls and Hankies: Romantic Spring Dining Table Centerpieces and Décor! 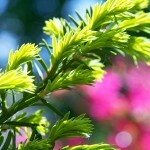 Oh how I adore the spring!! Colors are returning. New buds are emerging. 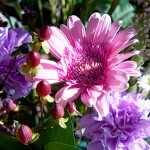 Time for all of us to bring forth our new thoughts, ideas, and imaginings, and let them blossom! 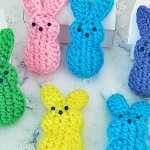 Hope you love my spring-inspired table centerpieces and decor! 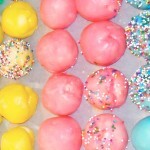 Random Acts of Kindness: May Baskets! The tradition of spreading cheer to others by making and gifting May Baskets is a lovely way to celebrate this month! Even between holidays, there is just so much beauty in this season that sometimes it seems difficult not to become overwhelmed by its loveliness. Arboretums, flower shows, greenhouses, and public gardens are amazing, but true natural beauty sometimes sits right before our eyes unnoticed. 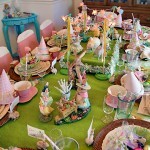 Bunnies, Chicks, & Eggs: Spring Table Decor Full of Fancy & Fun! 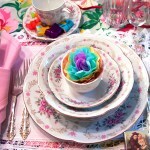 May Dining Table Décor: A Floral Extravaganza! 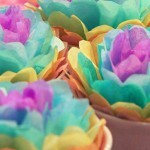 Craft Ideas for Spring: Tissue Paper Flowers! 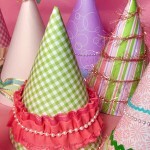 Craft Ideas For Spring: DIY Party Hats!